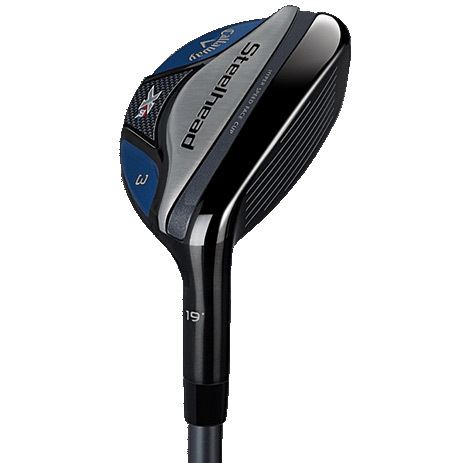 A hybrid’s combination of compact head, perimeter weighting and low CG is intended to make it easy to launch high, long shots from the turf. Steelhead XR Hybrids take all of that to the next level. 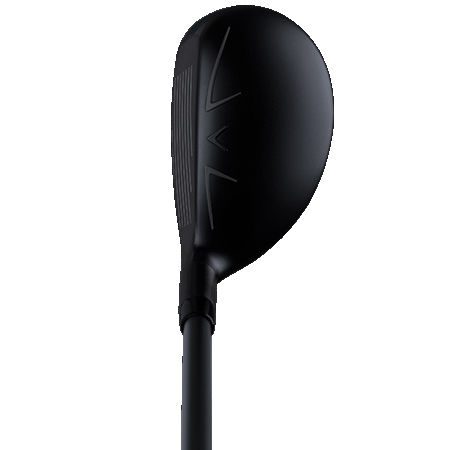 Compared to XR Hybrids, the head is longer from heel to toe and deeper from front to back, with a deep-back CG, all of which works in conjunction to make Steelhead XR Hybrids more forgiving and easier to launch. 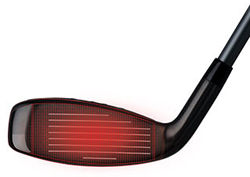 Likewise, the face of each Steelhead XR Hybrid is larger and incorporates next-generation Hyper Speed Face Cup technology that allows the edges of the face to flex and release faster at impact, raising ball speed on center and off-center hits to promote more distance, swing after swing after swing. 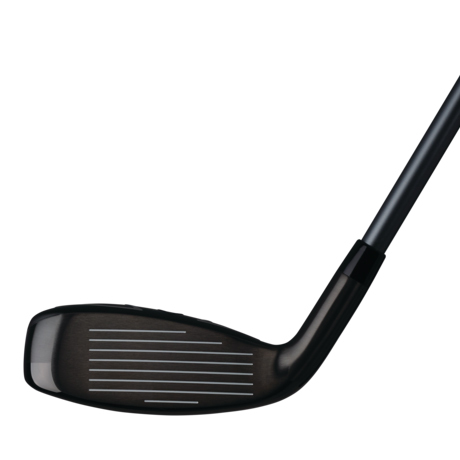 Just as the original Steelhead X-14 Irons were renowned for their extremely playable and versatile sole design, so are Steelhead XR Hybrids. 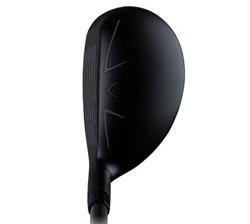 With the help of extensive computer modeling and Tour pro testing, Callaway engineers reduced sole-to-turf friction dramatically to make it easier to launch the ball cleanly from almost any lie. In terms of total performance, the convergence of the XR Steelhead’s advanced technologies and shaping allow it to deliver exactly what golfers’ want from a hybrid: massive forgiveness, easy launch, high and long flight, and exceptional versatility and playability. 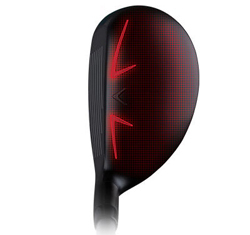 Next-generation Hyper Speed Face Cup technology promotes faster ball speed for more distance, especially on off-center hits. 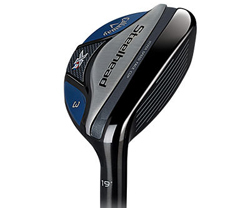 Designed with assistance from aerodynamic experts to promote faster clubhead speed for more distance.